RetroPie is one of the coolest ways to turn your Pi into a mini gaming machine. But how can we give it our own personal flair? If you’ve spent all the time, money, and effort into building your own RetroPie machine, you deserve to have a stylish theme design to go along with it. Perhaps you’re just tired of the default RetroPie/Emulation Station theme. 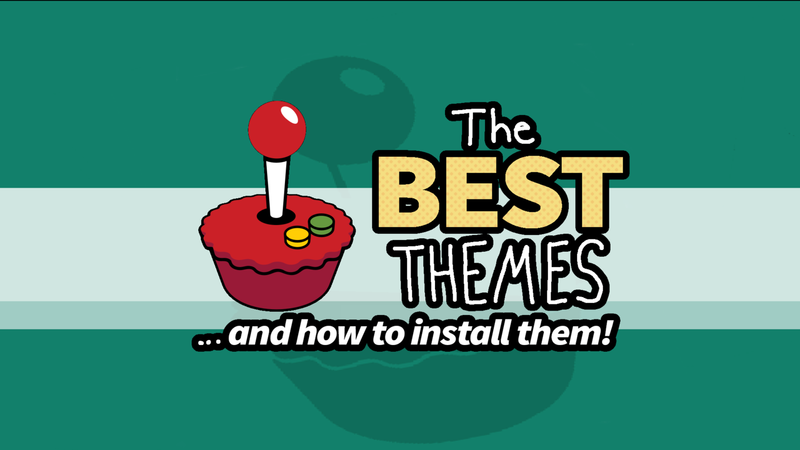 In this guide, we’re taking a look at the best themes RetroPie has to offer—and how YOU can get your hands on them, too! First up we have the Famicom Mini theme! If you’ve always dreamt of a teensy version of the classic Famicom system, you’re in luck! This theme features clean, retro artwork. The colors are soft and make for a nice muted palette. The user interface is very well structured. 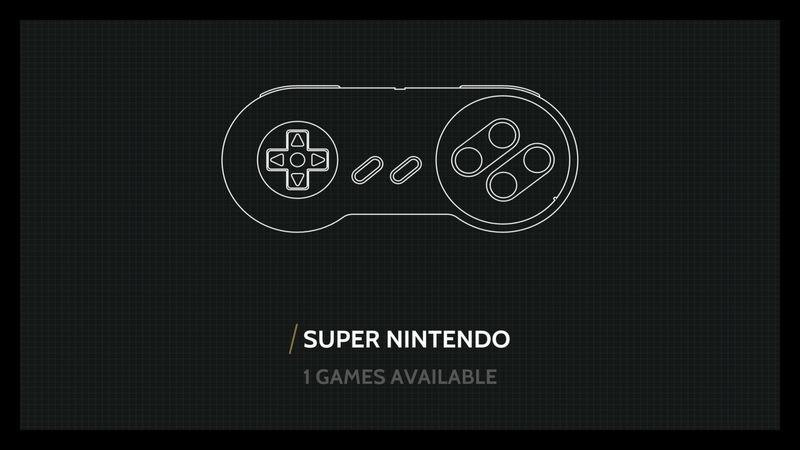 The console titles are presented on square blocks, each featuring custom pixel artwork of the original hardware. 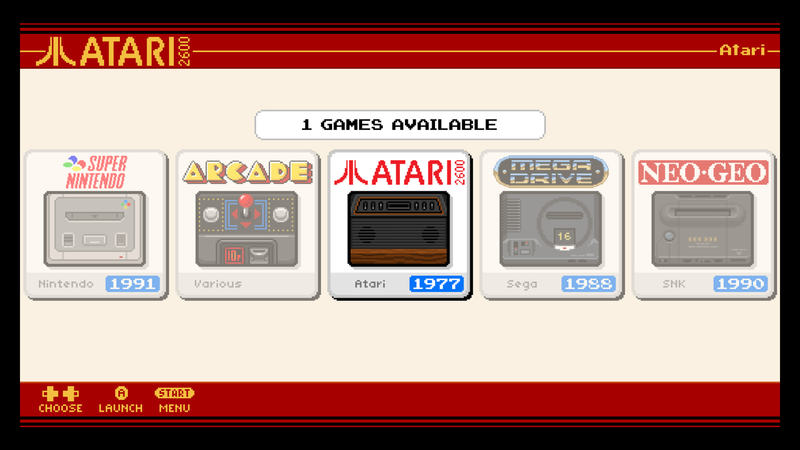 Once inside the list of roms, we’re greeted with a nice, well designed page to match the overall Famicom feel. TFT is a beautiful minimal design theme. Each console title takes up the complete display and features white lineart of their respective controllers. This is a relatively dark theme with little coloring. Because of the minimal design, this theme is perfect for small screens and arcade cabinet projects. This theme brings an incredible level of creativity to the table. 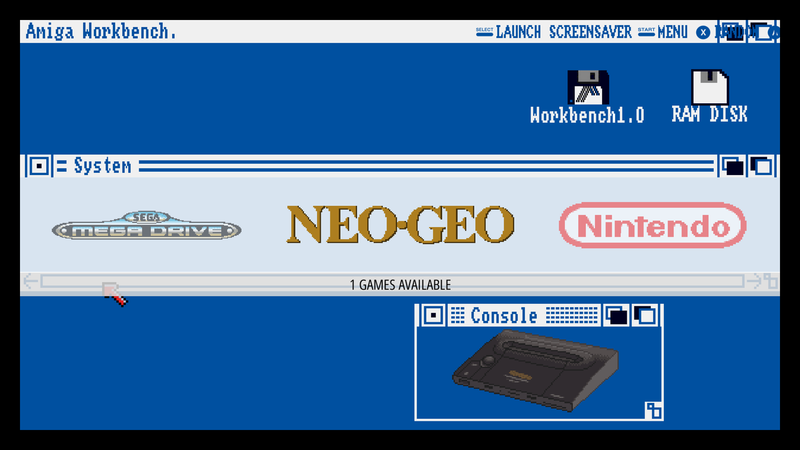 It has everything you need, right where you want it and it looks just like the old school Amiga Workbench! Are you a fan of old school tech? This is definitely the theme for you! Even the rom list has a classic retro highlight across the selected rom. This theme comes together very well to make a wonderfully creative experience. Whosa what now? The title of this theme stands for Game Boy Zero 3.5”. It features another minimal design, this time with colors! Behind each console title is minimal artwork pertaining to the console. It’s versatile for a minimal theme. It works well for various screen sizes, making it ideal for arcade cabinets and handheld projects. One of the coolest themes you’ll find is the SNES Mini theme! It features vibrant, retro artwork that looks ready to take us to a Tron-like vector wonderland. Each console title gets its own original artwork. The list of roms is presented nicely to deliver a consistent SNES flavor to the theme. There are plenty of themes to choose from. 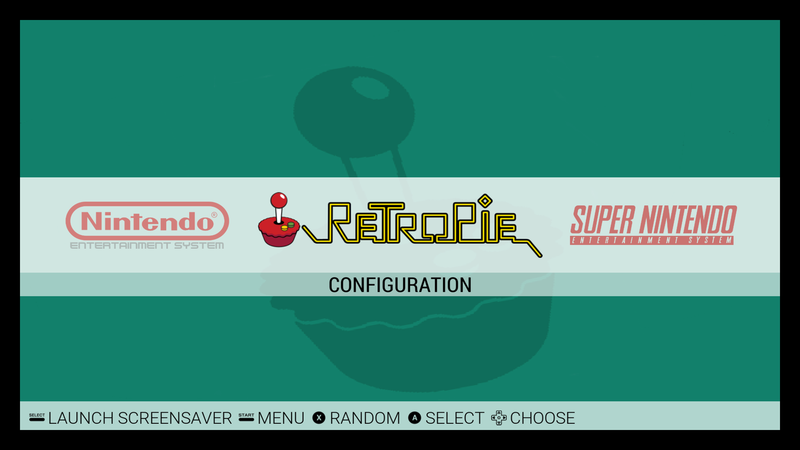 If you want to look at the full list of RetroPie themes, visit the official GitHub link here. Many themes are available in the RetroPie theme gallery. To tap into these custom designs, you’ll need to open RetroPie Setup. From the RetroPie Setup menu, choose Open Configuration/Tools. 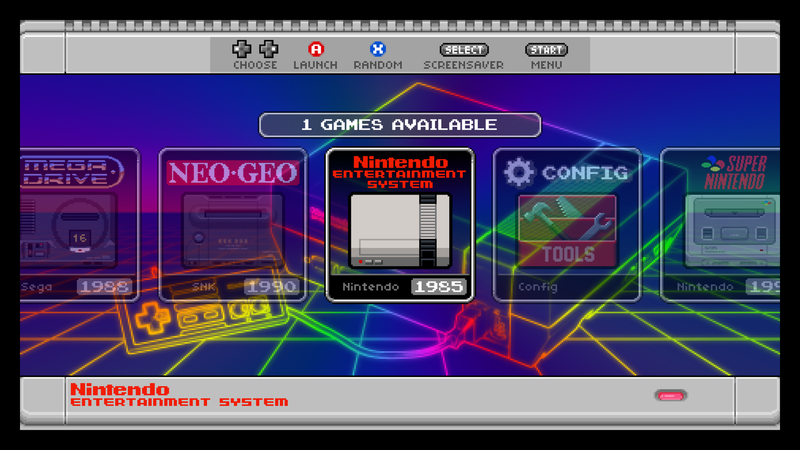 The option we’re looking for on this screen is called esthemes - Install themes for Emulation Station. On this screen you can choose to download the entire gallery or maybe just a couple of themes. Each theme needs to be shown as (installed) in order to be used. To set the theme you’ve just installed, we’ll need to reboot and go back to our home screen. 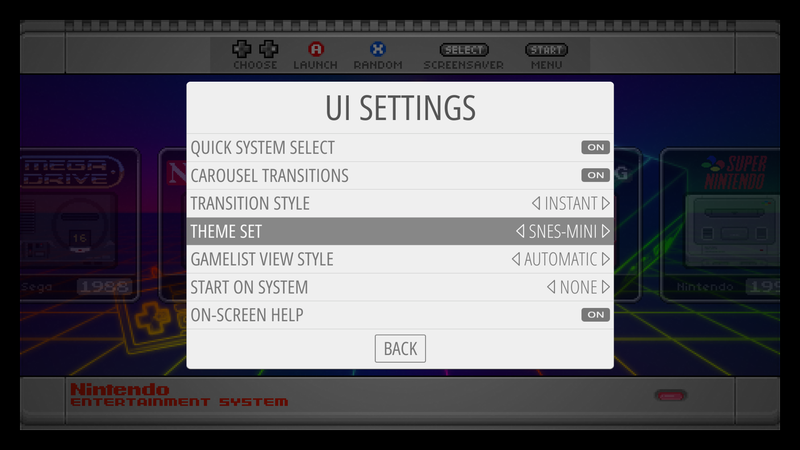 From the regular menu, you can choose UI Settings to find the selection area for your default theme. This area is labeled Theme Set. Congratulations! You should have a beautiful, custom, RetroPie theme.